Xiaomi Mi 8 SE Vs Redmi Note 6 Pro: Snapdragon 710 or 636? Xiaomi Mi 8 SE Vs Redmi Note 6 Pro, which one should you buy? Xiaomi released the Mi 8 SE around June and it is the watered-down variant of the Mi 8 flagship. 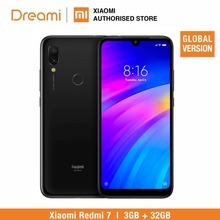 This device is also very affordable and today we will be comparing it to the Redmi Note 6 Pro by Xiaomi. Its a successor to the Note 5 Pro and it performs excellently well in the mid-range segment. It also has interesting features. Have You Seen This? Oppo R17 Pro Vs F9 Pro: The Triple Rear Camera Changes Everything! The 8 SE is made by a 7000 series Aluminum. It has a glass display at the front and a glass back which is held together by an aluminum frame. Its glass back is not a fingerprint magnet. This device has a rear fingerprint scanner. While the 6 Pro comes in Aluminum alloy body with a curved antenna lines. This device also has a gorilla glass panel at the front and it has a notch on its display. The 8 SE sports a tall 5.88-inch Super AMOLED capacitive touchscreen with a resolution of 1080 x 2248 pixels, the screen has a pixel per inch density of 423. While, the 6 Pro sports a 6.26-inch FHD+ IPS LCD screen with 1080 x 2280 pixels in resolution and 403ppi. Have You Seen This? OnePlus 6T Vs Apple iPhone XS Max: Value For Money Or Luxury? 710 chipset with an octa-core processor clocking speed of up to 2.2GHz. The smartphone has 4GB/6GB RAM and 64GB storage space. While the 6 Pro houses the SDM636 Snapdragon 636 chipset with octa-core processor clocking at 1.8GHz. In the RAM department, the 6 Pro has 4GB/3GB and 64GB/32GB storage space. For the Software, the 8 SE runs on the Android 8.1 Oreo operating system. While the 6 Pro runs on the Android 8.1 Oreo operating system as well. The 8 SE has a rear dual camera setup of 12MP + 5MP with a front/Selfie camera of 20MP. While the 6 Pro has a rear camera set up of 12MP + 5MP with a great front camera of 20MP + 5MP with f/2.0 aperture. Powering the 8 SE is a 3120mah Non-removable Li-Po battery with fast battery charging. While the 6 Pro is powered by a 4000mAh Non-removable Li-Po battery with fast charging as well. They are both nice smartphones with attractive body and specs and the Mi 8 SE is the first smartphone in the world running on the Snapdragon 700 series of processor which was developed to bridge the gap between the mid-level 600-series processor and high-end 800-series processors. It obvious the Redmi Note 6 Pro doesn’t stand a chance against the Mi 8 SE.